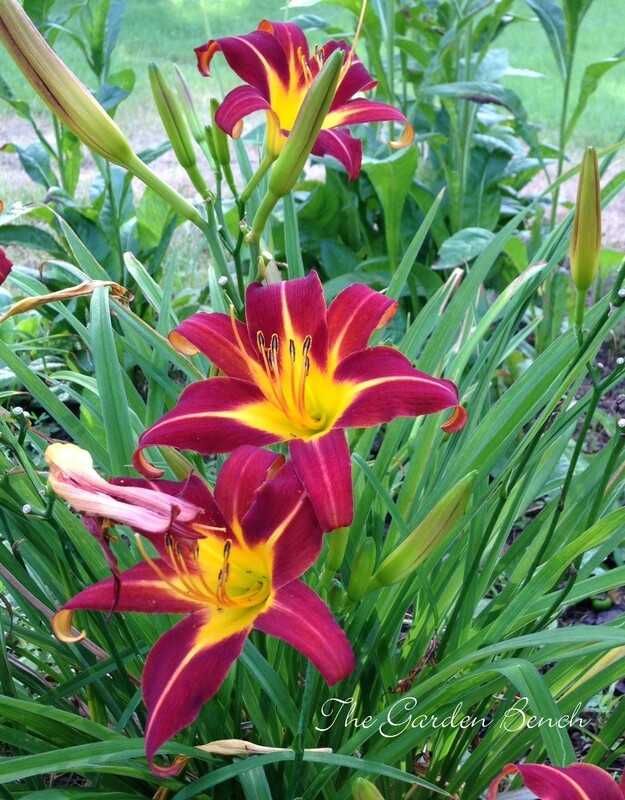 The daylilies in our garden beds are beginning to crowd out other plants. Can they be separated and thinned out? Experts at the National Arboretum and the American Hemerocallis Society Society suggest thinning clumps of daylilies every five years or so. 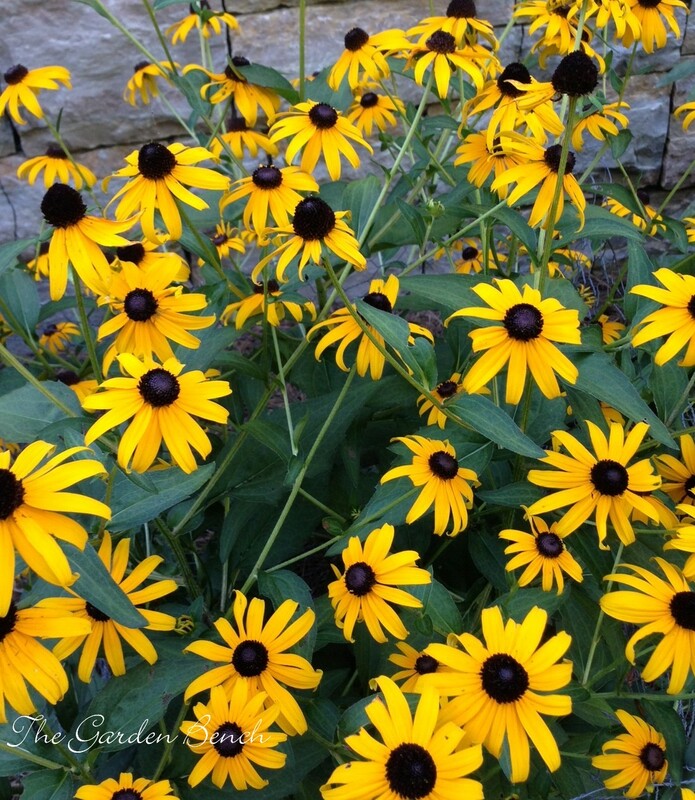 Repeat blooming varieties (such as ‘Stella de Oro,’ ‘Happy Returns’ and others) tend to form larger clumps, and may need to be divided more often. Early spring and fall are good times to take care of this task. When the time comes to divide the clumps, use a garden fork to loosen the soil and pry the clump of roots out of the ground. Divide it by pushing two garden forks back to back down into the center of the clump, then push the handles apart to separate the roots. To replant the divisions, dig a wide, shallow hole and place the rootball into the hole. Backfill with soil and tamp it into place, then cover the soil with an inch of mulch. Water thoroughly. You can cut the foliage back to about 12 inches. (Stella de Oro? Stella d’Oro? You may see it spelled either way. I use the same spelling as the American Hemerocallis Society, which provides loads of information about daylilies at its website. I remember a large Rose of Sharon shrub that grew in my grandmother’s yard that had big, pretty flowers every summer. I’d like to have one for my own garden. Can this shrub be started from cuttings? Lil’ Kim Rose of Sharon (H. syriacus) from Proven Winners Plants. Cut lengths of softwood (soft, succulent new growth) or semi-hardwood (partially mature wood of the current season’s growth) about six inches long from a healthy host plant. Remove the bottom leaves, and dip the cut ends in rooting hormone powder. 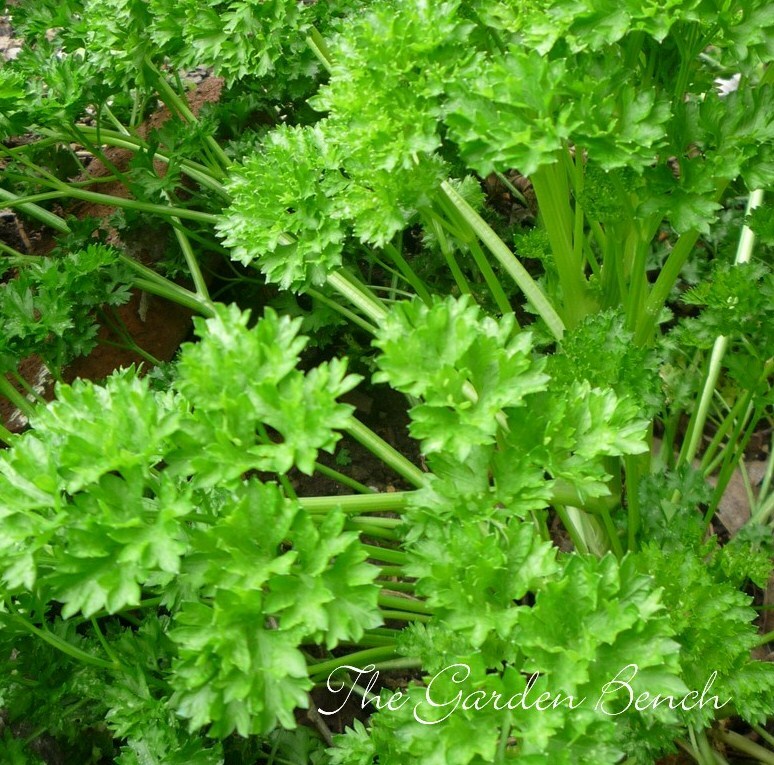 Stick the cut ends about one-third their length into a rooting medium that drains well, such as perlite or vermiculite. Cover the cuttings with some sort of plastic covering to maintain a humid environment, and place them in indirect light. Keep the rooting medium moist until roots develop. It will likely take several weeks, but you’ll know the cuttings have grown roots when you tug gently on the cuttings and feel resistance. Transplant them into containers to allow them to grow to a larger size before you plant them in the garden. 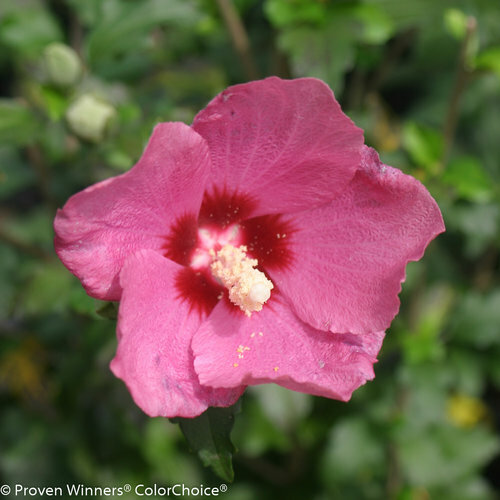 Rose of Sharon grows and blooms best in full sun, and thrives in almost any well-drained soil. Once established, it tolerates heat and drought. Flowers bloom on new growth, so if it needs pruning, you can do that task in winter. Prune azaleas shortly after they bloom. Plant your summer kitchen garden with warm-season vegetables: tomatoes, peppers, squash, okra, beans. Water newly planted garden beds well, and keep them moist as seeds sprout. Foliage left from spring-flowering bulbs – daffodils, tulips and so forth – can be cut down if it has turned brown. 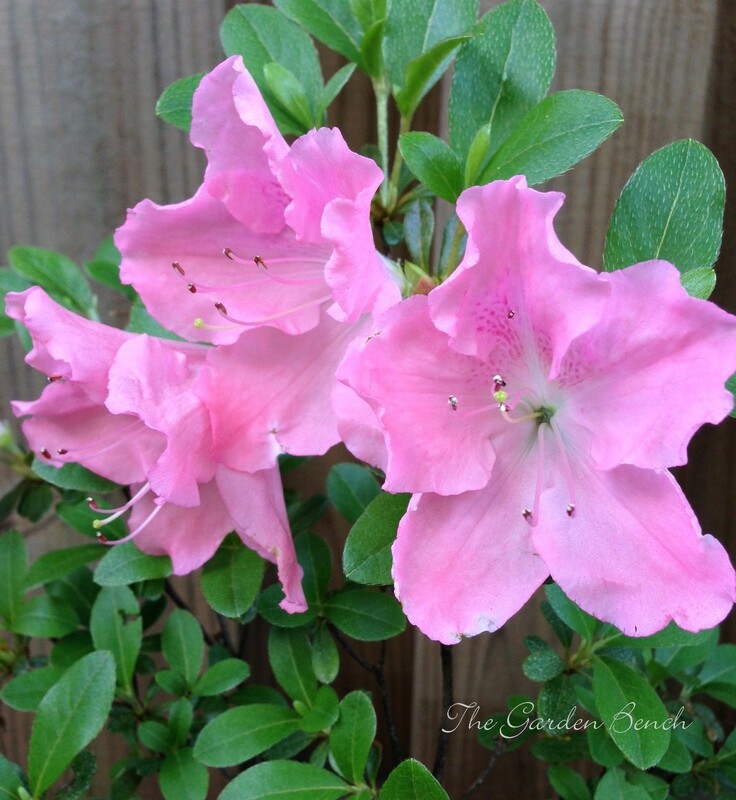 If you need to prune azaleas, do it now; don’t wait any longer, or you risk cutting off next year’s flowers, which will begin to form soon. 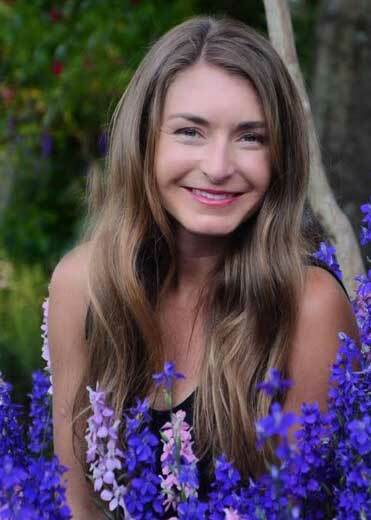 Set out bedding plants of favorite summer annuals: petunias, begonias, annual salvia, cleome, cosmos, celosia, snapdragon, zinnia. Find a comfortable spot for houseplants that will spend summer outdoors, protected from too-harsh sun and strong wind and rain. 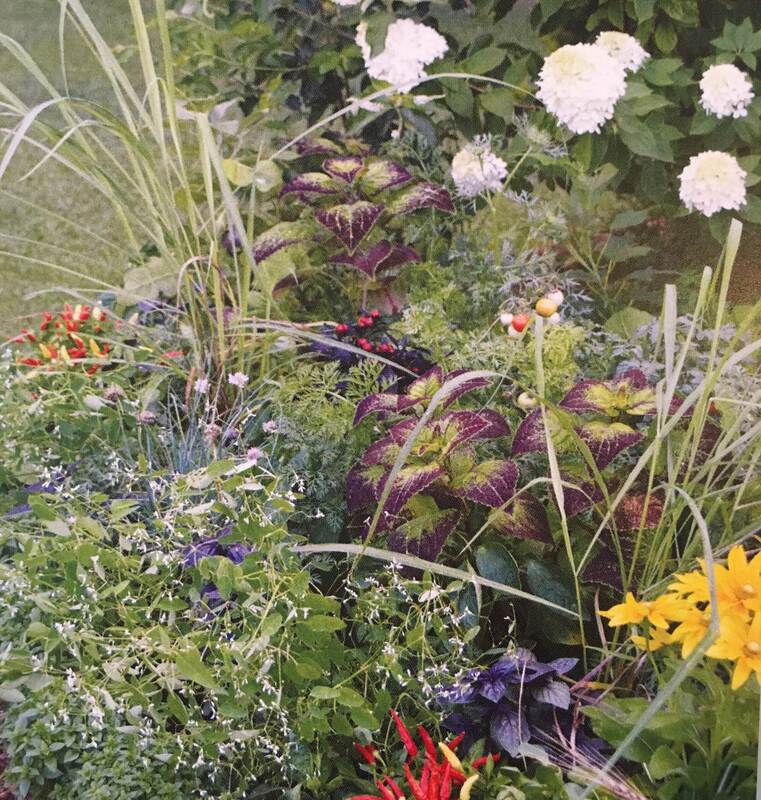 Use mulch in perennial and annual beds and borders to keep weeds in check, and to retain moisture in the soil. A cluster of aphids on tender new growth of plants can be washed away with a strong spray of water from the hose. Container gardens dry out quickly in hot weather, so if your “garden” is a collection of pots on the deck or balcony, they need to be watered frequently. 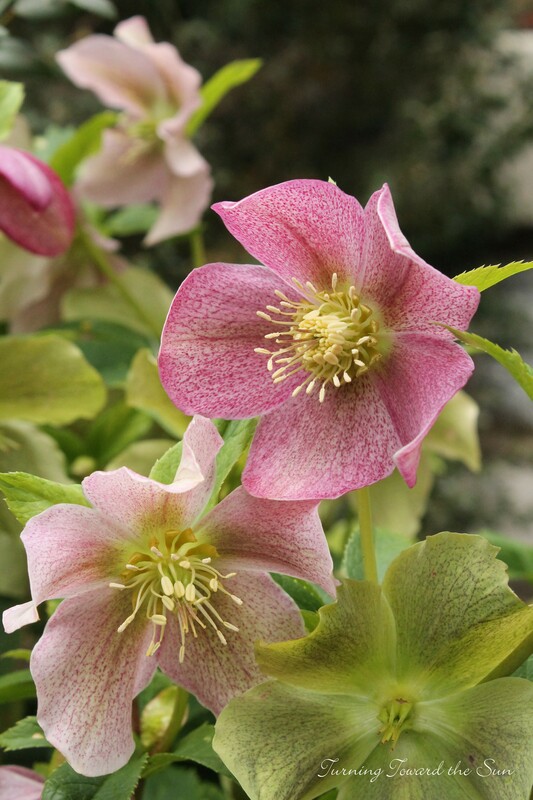 Divide hellebores. Dig up as much of the root ball as possible and gently separate the roots. Replant right away, or share with friends (reminding them to plant as soon as possible). When you mow, set the mower to cut high, removing only about a third of the height of the grass to keep it healthy. Don’t shear the lawn. 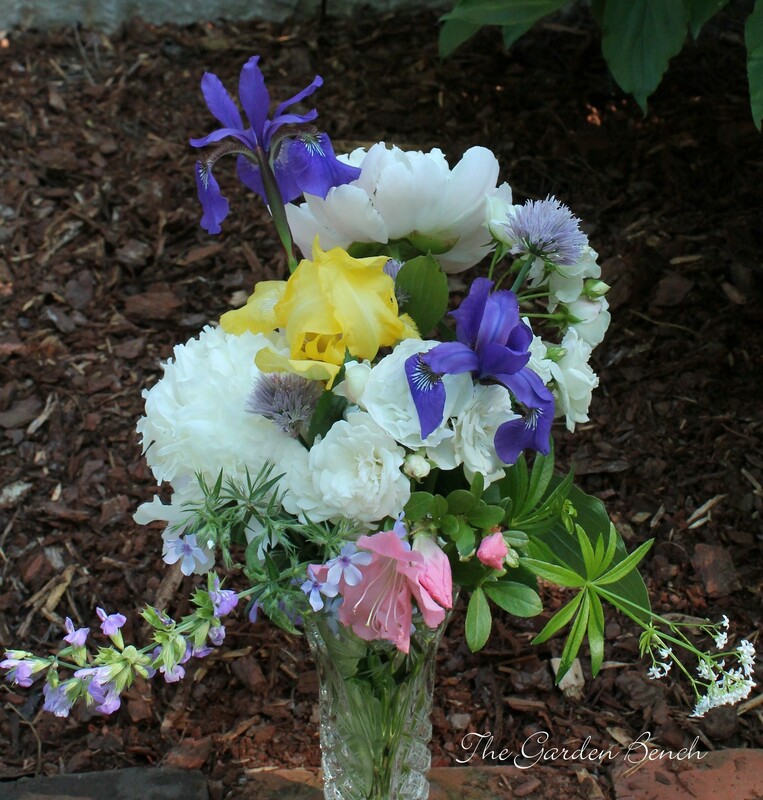 Cut spring flowers to enjoy indoors. There will always be unwanted plants (sometimes known as weeds). Pull or dig them out of garden beds when they are small, but especially before they form seeds. Weeds are easier to root out after watering or after a rain, when the soil is moist. Annual weeds that haven’t gone to seed can be tossed into the compost. As summer approaches, make sure spring-planted trees and shrubs continue to get enough moisture. Provide about an inch of water a week — by hose or sprinkler if it doesn’t rain. Enjoy the late spring bounty of flowers indoors. 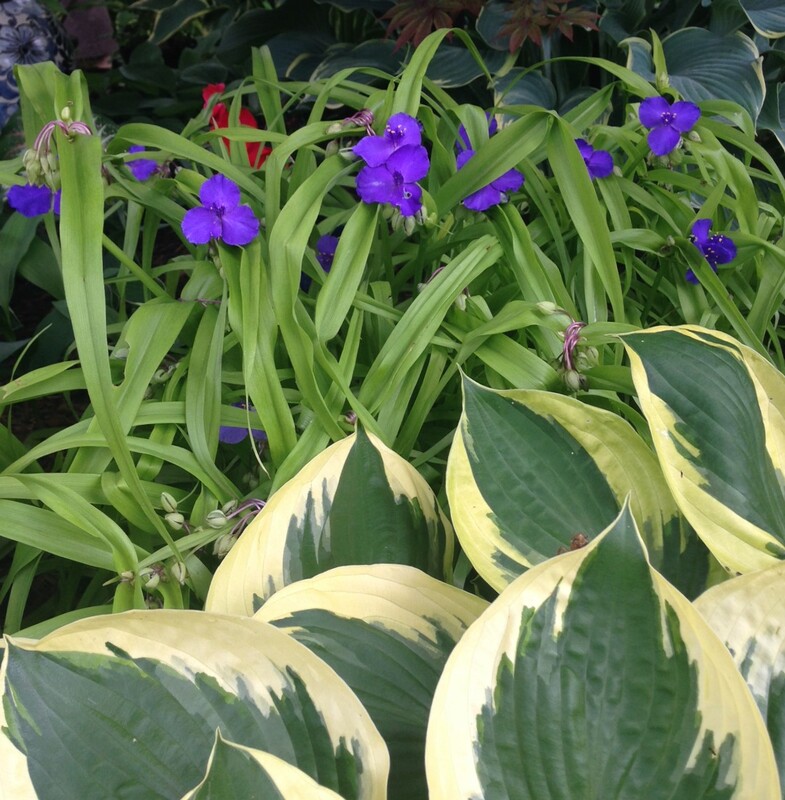 To help them last longer, cut flowers and foliage early in the morning and place them in water right away. Grass clippings make good mulch, but allow them to decay before you use them on beds and borders. Watch for spider mites on roses and other shrubs if the weather turns hot and dry. 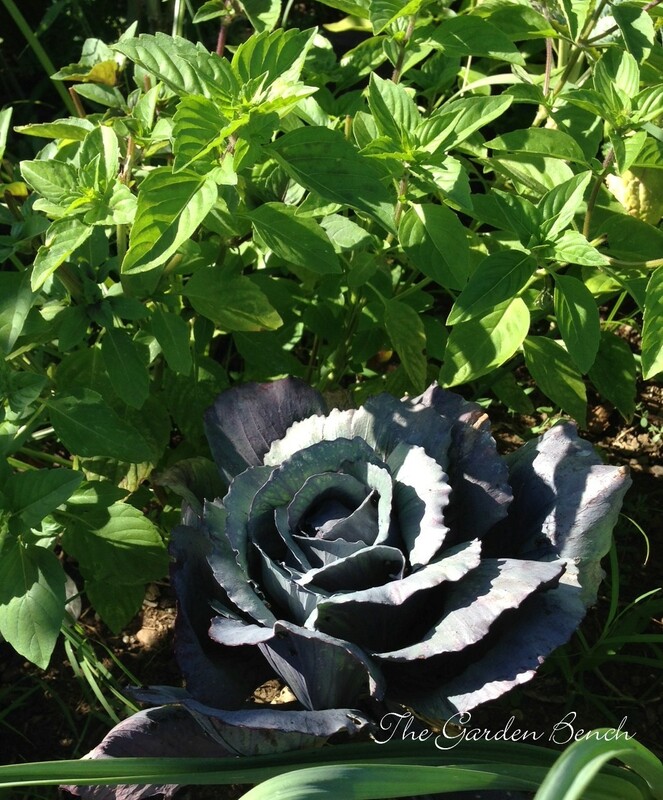 A strong spray of water on the undersides of leaves every few days can keep them under control. 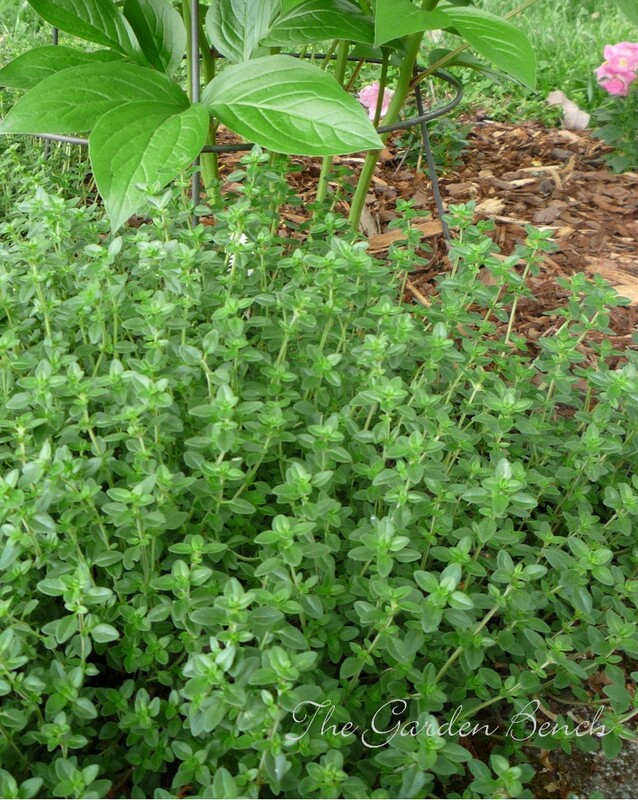 Thyme and other herbs are at their peak just before they bloom. 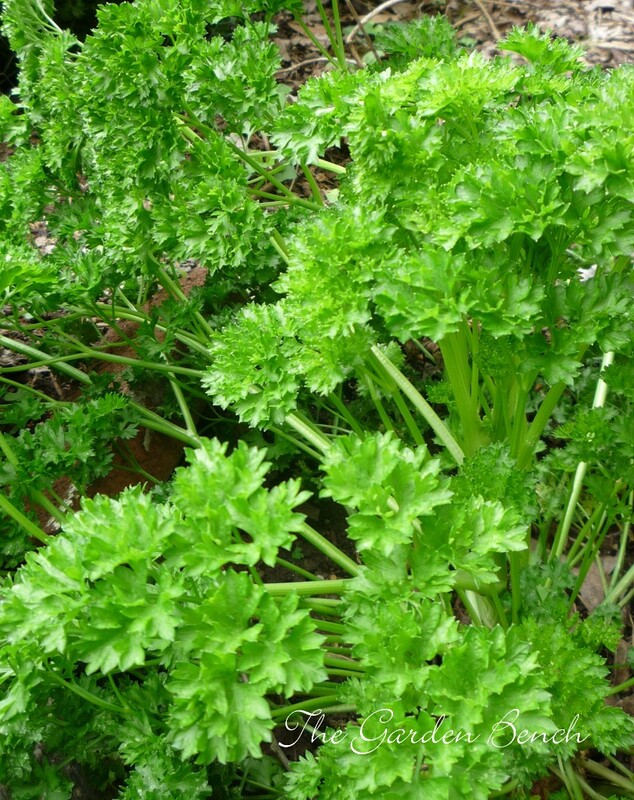 Many herbs are at their peak just before they bloom. Harvest them to use fresh, or preserve them by drying or freezing to use later. As perennials flower and fade, cut the dying blooms. This will encourage the plant to bloom longer. Divide irises after they finish blooming. Cut the leaves to about five inches, then lift the tubers with a spading fork. Separate the rhizomes and cut off damaged portions, then replant the rhizomes close to the soil surface. Hummingbirds are welcome summer guests in the garden, visiting flowers and nectar feeders. If you provide feeders, change the nectar every day or two and clean the feeder thoroughly. Standard nectar recipe: 1 part sugar to 4 parts water; boil for five minutes, and allow it to cool before filling the feeder. No red food coloring needed.